The Baltic Sea Fleet is a high-level strategic unit, part of the Russian Navy. It was created during the Northern War of 1700-1721 following Peter the Great’s plan and under his personal supervision. The Baltic Fleet’s first ships were built in 1702-1703 in the mouth of the Siyaz River at Ladoga Lake and at River Svir’. In October 1702, the rowing flotilla participated in the Noteburg fortress’ capture (later it was renamed Schlisselburg; nowadays it is called Petrokrepost’). The first Baltic Sea Fleet’s squadron was commanded by Rear-Admiral K. Cruys, while the entire Baltic Fleet in 1723-1726 was under the command of Admiral-General Fyodor M. Apraksin. 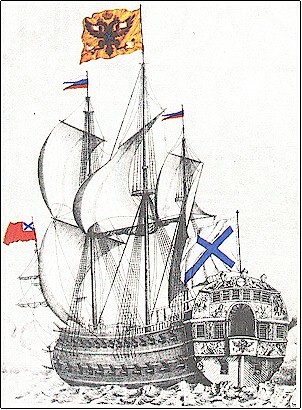 In 1703, the Baltic Fleet’s base – Kronslot (later Kronstadt) – was built. Starting from 1704, an intensive construction of the Admiralty Shipyards, which later became the centre of the Russia’s shipbuilding, began in Petersburg. The first Russian shipbuilders were such masters as F.M. Sklyaev, G. Menshikov, I. Ramberg. Naval officers training was initiated in Moscow in 1701 and was conducted in the Navigation School (was transferred to Petersburg in 1715 and renamed Naval Guard Academy and in 1752 it was once again renamed Naval School). As of 1724, the Baltic Sea Fleet had at its disposal 141 sailing warships and hundreds of row ships. During the Northern War the Baltic Fleet was actively engaged in the taking of Vyborg, Revel (Tallinn), Riga, Moonzund Islands, Helsingforce, and Abo. The Baltic Fleet won its naval victories at Gangut (1714), Ezel (1719) and Grengam (1720). It also approached the Swedish shores to land troops and destroy enemy fortress garrisons. As a result of the Northern War, Russia has become a strong naval power. 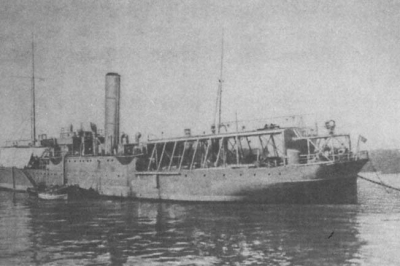 The Poltava – the first ship of the Baltic Sea Fleet. Engraving by Piter Leekart, 1712. During the Northern War, in 1756-1763, the Baltic Fleet’s squadron assisted the army in its military operations in Pomerania while capturing Memel (1757) and Kohlberg (1761) and imposed a blockade on Zund strait in order not to let the British Fleet enter the Baltic. An intense political situation in Europe in the second part of the eighteenth century required Russia to expand the Baltic Sea Fleet. During 1775-1800, 50 battleships, 31 frigates, 168 bombing and auxiliary ships as well as 362 row vessels. Throughout the Russo-Turkish wars of the late eighteenth-early nineteenth centuries, the Baltic Fleet fulfilled the most important strategic tasks. Baltic Fleet’s squadrons would undertake Mediterranean cruises (see Archipelago expeditions of the Russian Fleet) with the purpose of both distracting enemy forces from the Danube and Black Sea theatres and assisting the Greeks and Serbians in their liberation movement. The Turkish Fleet was crushed by the Baltic Fleet’s ships in the Battle of Chesma (1770), Battle of Dardanelles (1807), Battle of Athos (1807) and Battle of Navarino (1827). During the Russian-Swedish wars of the eighteenth century, the Baltic Fleet was actively engaged in defending the Baltic coastline and succeeded in frustrating Swedish plans to take Kronstadt and Petersburg having routed the Swedish Fleet at Gogland (1788), Rochensalm (1789), Revel and Vyborg (1790). Russia’s economic backwardness and unceasing wars she was engaged in did not allow her to create a modern steam-powered fleet by the time the Crimean War of 1853-1856 began. By the beginning of the war, the Baltic Fleet had only 11 steam-frigates to 42 wheel- and screw-battleships of the British and French Navies. However, despite being greatly outnumbered by the technologically superior enemy, the Baltic Fleet heroically defended the coastline and did it best to prevent capturing Gangut, Sveaborg and Petersburg. During the war in the Baltic Sea, barrage mines, invented by a Russian scientist B.S. Yakobi, were used for the first time. Starting from 1861, the construction of a steam-powered armoured fleet began (the gunboat Opyt/Experience), while in 1869 the world’s first turret sea-going ironclad Peyotr Velikiy was laid. By the late nineteenth century, the Baltic Fleet could boast of 250 modern ships of all types known. The first Baltic Fleet’s squadron was under the skillful command of our outstanding scientist and naval commander Grigory I. Butakov. The Baltic Sea Fleet’s organizational structure was changed: in 1860, naval ports were divided into main ports (Kronstadt, Petersburg) and second-class ones (Revel, Sveaborg); in 1861, the fleet was divided in two divisions. Soon afterwards the post of Chief Commander of the Fleet and Ports and Commander of the Baltic Sea naval defence was introduced; in mid-1908 – Commander of the Baltic Sea naval forces, and in 1909 – Commander of the Baltic Sea Fleet. A. Bogolyubov. 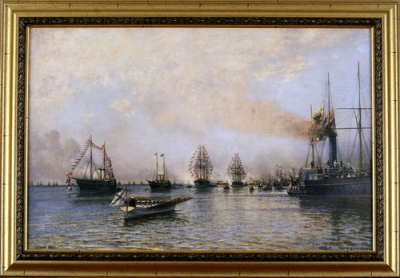 The Baltic Sea Fleet’s ship review on the occasion of the German squadron arrival on July 7, 1888. An important place in the history of the Baltic Fleet belongs to expeditions, scientific discoveries and inventions. A huge contribution to geography was made by the expeditions led by I.F. Kruzenstern, Y.F. Lisyansky, F.F. Bellinshausen, M.P. Lazarev, O.E. Kotsebu, F.P. Litke, G.I. Nevelsky and others. Such prominent scientists, shipbuilders and naval architects as Admiral A.A. Popov, Admiral S.O. Makarov, P.A. Titov, and Academician A.N. Krylov started their careers in the Baltic Fleet. The inventor of the world’s first airplane A.F. Mozhaisky, the inventor of the radio A.S. Popov, fathers of the submarines S.K. Dzhevetsky, I.G. Bubnov, N.N. Beklemishev and inventor of the world’s first underwater mine layer M.P. Naletov also worked here. In the nineteenth century the Baltic Fleet was engulfed in revolutionary movements. The Guards crew participated in the Decembrists uprising. In 1902-1903 under the influence of Lenin-founded newspaper Iskra (the Sparkle) the first social-democratic groups started to appear. The Baltic Fleet sailors took an active part in the Revolution of 1905-1907 (uprising in Libava, Sveavorg, Kronstadt, Revel, Riga, and Helsingforce). During the Russian-Japanese war of 1904-1905, in order to reinforce the fleet in the Far East, the ships of the Baltic Fleet, partly new and untested, partly obsolete ones, formed the Second Pacific squadron and, later, the Third Pacific squadron, which undertook an unparalleled transfer of the armoured ships from the Baltic to the Sea of Japan in extremely difficult weather conditions but, unfortunately, were defeated in the 1905 battle of Tsushima. 1909 saw the restoration of the Baltic Sea Fleet. By the beginning of the World War I (1914-1918), the Baltic Fleet had already had 4 battleships, 6 armoured and 4 light cruisers, 13 torpedo-boat destroyers, 50 torpedo boats, 6 mine layers, 13 submarines, 6 gunboats, etc. During the war, it was reinforced with 4 new battleships, destroyers and submarines. The Baltic Fleet systematically conducted active mine-laying operations along enemy shores and his sea lines of communication. 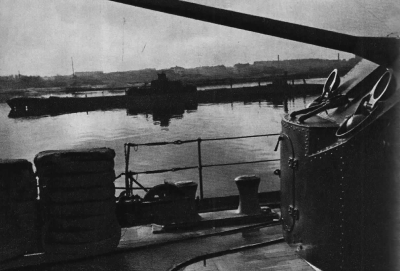 The Baltic Fleet repeatedly distinguished itself in taking up mine-artillery positions and preventing the German Fleet from entering the Gulf of Finland. The enemy lost 53 battleships and 49 auxiliary vessels, while the Baltic Fleet lost 36 battleships. During 1914-1917, the Baltic Fleet was under command of Admiral N.O. Essen (from 1909), Vice-Admiral V.A. Kanin, Vice-Admiral A.I. Nepenin, Vice-Admiral A.S. Maksimov, Rear-Admiral D.N. Verderevsky, and Rear-Admiral A.V. Razvozov. In 1915, in Kronstadt, the centre of the Baltic Fleet Bolshevik organization was established, the so-called Central Ship Committee of the Russian Social-Democratic Workers’ Party headed by I.D. Sladkov, T.I. Uliantsev and N.A. Hovrin. During the February revolution of 1917, the Baltic Fleet sailors supported the insurgent people. The Baltic Fleet was under a very strong influence of the Bolsheviks (as of the summer of 1917 there were up to 12 000 Bolsheviks in the Baltic Fleet). On 30 April, the Baltic Fleet Central Committee was set up – the Centrobalt. In September-October, the Baltic Fleet heroically and selflessly fought against the German Fleet in the 1917 Moonzund operation protecting the approaches to revolutionary Petrograd. The Baltic sailors together with the Petrograd Red Guard workers formed the main striking force of the October armed revolt. After the October Revolution, the Baltic sailors actively participated in the Civil war where they constituted the main body of the Soviet naval forces at different sea and river theatres. As many as 20 000 Baltic Fleet sailors fought at land battle-fronts. In February-May 1918, the Baltic Fleet forces undertook a legendary Ice Cruise of 1918 from Revel to Helsingforce and then to Kronstadt in order to save the Baltic Fleet from being captured by Germans. The Baltic Fleet (Commander A.P. Zelenoy; members of the Revolutionary War Council A.V. Baranov, V.I. Zoff, and F.S. Averichkin) was active in defending Petrograd in 1919 having sunk 18 and damaged 16 ships of the British interventionists. The tender ship Orlitsa. The Baltic Fleet, 1915. In 1920, the Council of Labour and Defence made a decision on reinforcing the Baltic Fleet; over 700 communists, old sailors, returned to the fleet. In 1925, the Baltic Fleet was awarded the Order of the Red banner. During the pre-war five-year-periods, dozens of state-of-the-art ships, naval airplanes, and latest coastal defence long-range guns were added to the Baltic Fleet. In the 1930s it formed the base for future Northern and Pacific Ocean Fleets. During the Russian-Finnish war of 1939-1940 the Baltic Sea Fleet effectively assisted the Leningrad battlefront troops in offensive operations at the Karelian Isthmus and took Gogland Islands, Lavensari, Sescar. During 1922-1941, the Baltic Fleet was under command of M.B. Victorov, I.K. Kozhanov, A.K. Veckman, L.M. Galler, A.K. Sivkov, I.S. Isakov, G.I. Levchenko, V.F. Tributs. By the beginning of the Great Patriotic War of 1941-1945 the Baltic Fleet had 2 battleships, 2 cruisers, 2 destroyer leaders, 19 destroyers, 65 submarines, 48 torpedo boats and other ships as well as 656 airplanes. In 1941, the Baltic Fleet (Commander Vice-Admiral Tributs), in cooperation with the army, was engaged in defending Hanko, Tallinn and the Moonzund Islands; in 1941-1943 it was active in the heroic defence of Leningrad, while in 1944-1945 it took part in the crushing defeat of the fascist troops near Leningrad, in the Baltic, in Eastern Prussia and Eastern Pomerania. Tens of thousands of Baltic Fleet sailors fought at land battlefront in naval brigades. During the war, Baltic Fleet aviation, underwater and surface ships with the help of coastal artillery destroyed 581 enemy warships and auxiliary vessels, 624 transports of 1,6 m tons tonnage (gross load). Over 100 thousand Baltic sailors were awarded medals and orders; 137 defenders were awarded the title Hero of the Soviet Union. Êîðàáëè Áàëòèéñêîãî ôëîòà íà Íåâå, 1942 ã. On 17 May, 1954, the naval fortress of Kronstadt was awarded the Order of the Red Banner. On 7 May, 1965, the Baltic Fleet was decorated with the Order of the Red Banner for the second time. After the war, the Baltic Fleet was commanded by the following Admirals: G.I. Levchenko, V.A. Andreev, A,G. Golovko, F.V. Zozulya, N.M. Kharlamov, B.A. Kasatonov, A.E. Oryol, V.V. Mikhailin (from 1965). At present, owing to innovations and outstanding breaks-through in science, engineering and technology, the Baltic Fleet is equipped with modern warships. Its underwater and surface ships, aviation and coast-based rocket forces, together with other fleets, are vigilant in protecting Russia’s frontiers and defending our country’s national interests both at seas and in the oceans. References: F.F. Veselago. History of the Russian Navy in Brief, 1939; The Fleet during the World War I, Moscow, 1964. V.I. Achkasov, B.A. Veiner. The Red Banner Baltic Sea Fleet during the Great Patriotic War. Moscow, 1957; The Baltic Sea Fleet. Historical Sketch. Moscow, 1960; The Life of the Soviet Navy, second edition. Moscow, 1967.